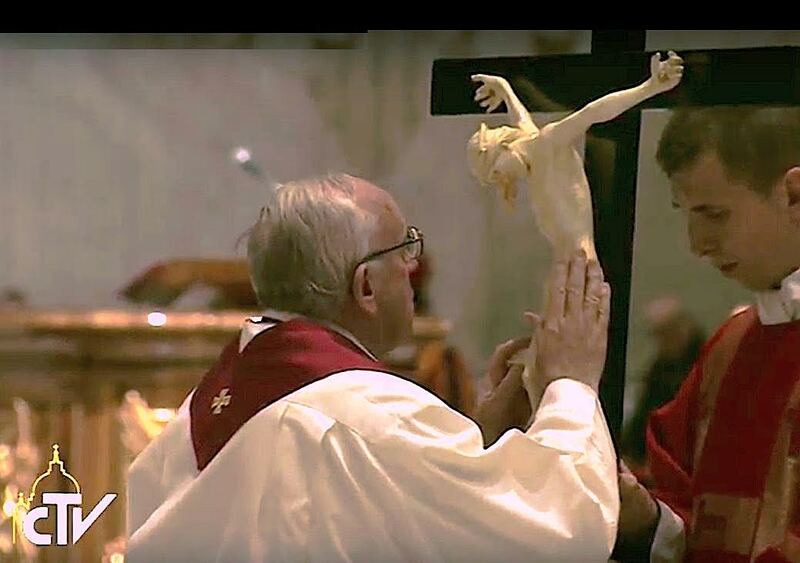 Here is the Good Friday homily delivered today in St. Peter’s Basilica by Capuchin Father Raniero Cantalamessa, preacher of the Pontifical Household. These words are from Paul’s Second Letter to the Corinthians. The apostle’s call to be reconciled to God does not refer to the historical reconciliation between God and humanity (which, as we just heard, already occurred “through Christ” on the cross); neither does it refer to the sacramental reconciliation that takes place in Baptism and in the Sacrament of Reconciliation. It refers to an existential and personal reconciliation that needs to be implemented in the present. The call is addressed to baptized Christians in Corinth who belonged to the Church for a while, so it is therefore also addressed to us here and now. “The acceptable time, the day of salvation” for us, is the Year of Mercy that we are now in. But what does this reconciliation with God mean in its existential and psychological dimension? One of the causes, and perhaps the main one, for people’s alienation from religion and faith today is the distorted image they have of God. What is the “predefined” idea of God in the collective human unconscious? 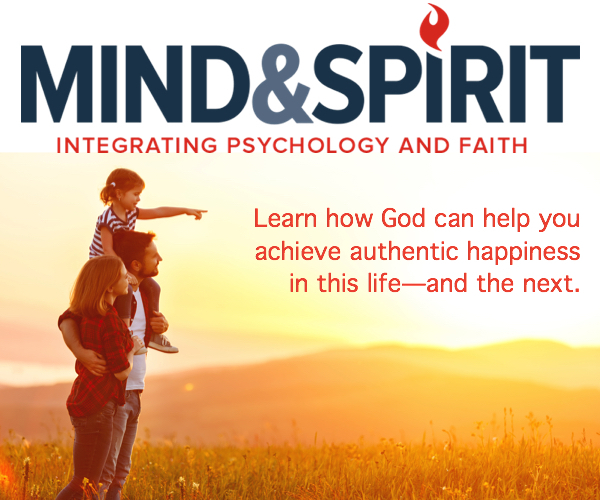 To find that out, we only need to ask this question: “What ideas, what words, what feelings spontaneously arise in you without thinking about it when you say the words in the Lord’s Prayer, ‘May your will be done’”? People generally say it with their heads bent down in resignation inwardly, preparing themselves for the worst. People unconsciously link God’s will to everything that is unpleasant and painful, to what can be seen as somehow destroying individual freedom and development. It is somewhat as though God were the enemy of every celebration, joy, and pleasure—a severe inquisitor-God. God is seen as the Supreme Being, the Omnipotent One, the Lord of time and history, that is, as an entity who asserts himself over an individual from the outside; no detail of human life escapes him. The transgression of his law inexorably introduces a disorder that requires a commensurate reparation that human beings know they are not able to make. This is the cause of fear and at times hidden resentment against God. It is a vestige of the pagan idea of God that has never been entirely eradicated, and perhaps cannot be eradicated, from the human heart. Greek tragedy is based on this concept: God is the one who intervenes with divine punishment to reestablish the moral order disrupted by evil. All this goes back to the image of God “envious” of human freedom that the serpent instilled in Adam and Eve. Of course in Christianity the mercy of God has never been disregarded! But mercy’s task is only to moderate the necessary rigors of justice. It was the exception, not the rule. The Year of Mercy is a golden opportunity to restore the true image of the biblical God who not only has mercy but is mercy. This bold assertion is based on the fact that “God is love” (1 Jn 4:8, 16). It is only in the Trinity, however, that God is love without being mercy. The Father loving the Son is not a grace or a concession, it is a necessity; the Father needs to love in order to exist as Father. The Son loving the Father is not a mercy or grace; it is a necessity even though it occurs with the utmost freedom; the Son needs to be loved and to love in order to be the Son. The same can be said about the Holy Spirit who is love as a person. It is when God creates the world and free human beings in it that love ceases for God to be nature and becomes grace. This love is a free concession; it is hesed, grace and mercy. The sin of human beings does not change the nature of this love but causes it to make a qualitative leap: mercy as a gift now becomes mercy as forgiveness. Love goes from being a simple gift to become a suffering love because God suffers when his love is rejected. “The LORD has spoken: ‘Sons have I reared and brought up, but they have rebelled against me’” (Is 1:2). Just ask the many fathers and mothers who have experienced their children’s rejection if it does not cause suffering—and one of the most intense sufferings in life. God shows his righteousness and justice by showing mercy! This is the great revelation. The apostle says God is “just and justifying,” that is, he is just to himself when he justifies human beings; he is in fact love and mercy, so for that reason he is just to himself—he truly demonstrates who he is—when he has mercy. But we cannot understand any of this if we do not know exactly what the expression “the righteousness of God” means. There is a danger that people can hear about the righteousness of God but not understand its meaning, so instead of being encouraged they are frightened. St. Augustine had already clearly explained its meaning centuries ago: “The ‘righteousness of God’ is that by which we are made righteous, just as ‘the salvation of God’ [see Ps 3:8] means the salvation by which he saves us.” In other words, the righteousness of God is that by which God makes those who believe in his Son Jesus acceptable to him. It does not enact justice but makes people just. God, who is rich in mercy, out of the great love with which he loved us, even when we were dead through our own trespasses, made us alive together with Christ—by grace you have been saved. (see Eph 2:4-5). Therefore, to say “the righteousness of God has been manifested” is like saying that God’s goodness, his love, his mercy, has been revealed. God’s justice not only does not contradict his mercy but consists precisely in mercy! God was not satisfied with merely forgiving people’s sins; he did infinitely more than that: he took those sins upon himself, he shouldered them himself. The Son of God, says Paul, “became sin for us.” What a shocking statement! In the Middle Ages some people found it difficult to believe that God would require the death of his Son in order to reconcile the world to himself. St. Bernard responded to this by saying, “What pleased God was not Christ’s death but his will in dying of his own accord”: “Non mors placuit sed voluntas sponte morientis.” It was not death, then, but love that saved us. The love of God reached human beings at the farthest point to which they were driven in their flight from him, death itself. The death of Christ needed to demonstrate to everyone the supreme proof of God’s mercy toward sinners. That is why his death does not even have the dignity of a certain privacy but is framed between the death of two thieves. He wants to remain a friend to sinners right up to the end, so he dies like them and with them. It is time for us to realize that the opposite of mercy is not justice but vengeance. Jesus did not oppose mercy to justice but to the law of retaliation: “eye for eye, tooth for tooth” (Ex 21:24). In forgiving sinners God is renouncing not justice but vengeance; he does not desire the death of a sinner but wants the sinner to convert and live (see Ez 18:23). On the cross Jesus did not ask his Father for vengeance. The hate and the brutality of the terrorist attacks this week in Brussels help us to understand the divine power of Christ’s last words: “Father, forgive them, for they know not what they do” (Lk 23:24). No matter how far the hate of human beings can go, the love of God always has been, and will be, greater. In these current circumstances Paul’s exhortation is addressed to us: “Do not be overcome by evil but overcome evil with good” (Rom 12:21). We need to demythologize vengeance! It has become a pervasive mythic theme that infects everything and everybody, starting with children. A large number of the stories we see on the screen and in video games are stories of revenge, passed off at times as the victory of a good hero. Half, if not more, of the suffering in the world (apart from natural disasters and illnesses) come from the desire for revenge, whether in personal relationships or between states and nations. It has been said that “Beauty will save the world.” But beauty, as we know very well, can also lead to ruin. There is only one thing that can truly save the world, mercy! The mercy of God for human beings and the mercy of human beings for each other. In particular, it can save the most precious and fragile thing in the world at this time, marriage and the family. Something similar happens in marriage to what happened in God’s relationship with humanity that the Bible in fact describes with the image of a wedding. In the very beginning, as I said, there was love, not mercy. Mercy comes in only after humanity’s sin. So too in marriage, in the beginning there is not mercy but love. People do not get married because of mercy but because of love. But then after years or even months of life together, the limitations of each spouse emerge, and problems with health, finance, and the children arise. A routine sets in that quenches all joy. What can save a marriage from going downhill without any hope of coming back up again is mercy, understood in the biblical sense, that is, not just reciprocal forgiveness but spouses acting with “compassion, kindness, lowliness, meekness and patience” (Col 3:12). Mercy adds agape to eros, it adds the love that gives of oneself and has compassion to the love of need and desire. God “takes pity” on human beings (see Ps 102:13). Shouldn’t a husband and wife, then, take pity on each other? And those of us who live in community, shouldn’t we take pity on one another instead of judging one another? Let us pray. Heavenly Father, by the merits of your Son on the cross who “became sin for us” (see 2 Cor 5:21), remove any desire for vengeance from the hearts of individuals, families, and nations, and make us fall in love with mercy. Let the Holy Father’s intention in proclaiming this Year of Mercy be met with a concrete response in our lives, and let everyone experience the joy of being reconciled with you in the depth of the heart. Amen! See Jacques-Bénigne Bossuet, “Sermon sur la Providence” (1662), in Oeuvres de Bossuet, eds. B. Velat and Y. Champailler (Paris: Pléiade, 1961), p. 1062. See St. Augustine, The Spirit and the Letter, 32, 56, in Augustine: Later Works, trans. and intro. John Burnaby (Philadelphia: Westminster Press, 1955), p. 241; see also PL 44, p. 237. Martin Luther, Preface to Latin Writings, in Luther’s Works, vol. 34 (Philadelphia: Fortress Press, 1960), p. 337. Joseph Ratzinger [Benedict XVI], Jesus of Nazareth, Part II (San Francisco: Ignatius Press, 2011), p. 133. St. Bernard of Clairvaux, Letter 190, “Against the Errors of Abelard,” in Anthony N. S. Lane, Theologian of the Cross (Collegeville, MN: Liturgical Press, 2013), pp. 201-202. See also PL 182, p. 1070. Fyodor Dostoevsky, The Idiot, III, 5, trans. Henry and Olga Carlisle (New York: New American Library, 1969), p. 402.